Even when you learn to expect the unexpected, and album like Junk is unexpected anyways, sounding unrecognizably different that M83’s all-time great previous album, yet being quite good nonetheless. Cascades crafts a mood—dreamy, atmospheric, wondrous—from front to back. Local Natives made one of the peppiest albums with Gorilla Manor, one of the saddest with Hummingbird, and they split the difference on Sunlit Youth. It doesn’t carry the same overall strength as an album, but it’s an outstanding collection of tracks. I could write a whole post on the potential of The 1975, who seem to possess both the ability to be a below average teen heartthrob band or to be one of the most interesting sounding bands in the world. When they are at their best—Somebody Else, Paris, A Change of Heart—they absolutely excel. This is Bon Iver’s worst album of the three, and it’s wonderful. Justin Vernon stretches the listener’s patience with pretentious indie noises, but it’s still glistening with Bon Iver’s signature sound and very high highs. Here’s the surprise album of the year. Mostly known for “Ho, Hey!”, The Lumineers put out a fantastic album this year with Cleopatra, complete with outstanding storytelling and an overall vibe front to back. Don’t overlook it. Sigh of relief. Band of Horses’ last album Mirage Rock was bad and crushingly disappointing. Ben Bridwell regrouped and learned to write about life as a happy family man, and delivers another smashing success with Why Are You OK.
It’s always a treat to get a full-fledged Radiohead album, something that happens only every four to five years. A Moon Shaped Pool does not disappoint from string-tinged opener of “Burn the Witch” all the way to the longtime deep cut “True Love Waits”. There was a time once, near when this blog started in some other form, when Jimmy Eat World was coming off releasing their best album, Futures, before following it up with the also-great Chase This Light. Since then there have been decent songs, but no good albums, and I confess I didn’t believe there ever would be again. But Integrity Blues was the album I needed at the perfect time and their best album in a decade. 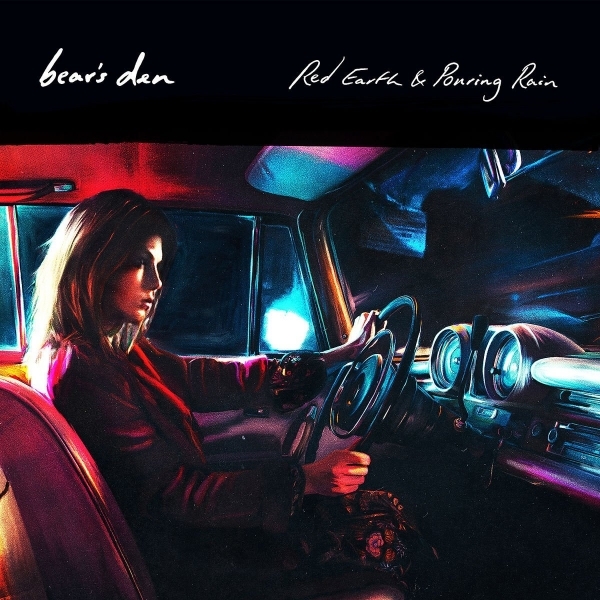 On their sophomore album, the British band Bear’s Den releases a sweeping album full of storytelling, imagery, and emotion. There’s an earnestness here. Bear’s Den sings from the heart, and unashamedly so. “Red Earth and the Pouring Rain” kicks it off on a high note, with a soaring, 80’s-influenced anthem that’s among the year’s best. Bear’s Den has a special talent for making you see what they are describing. On “Napoleon” it’s a father with “a tall glass of Napoleon and an off-white leather chair”. “Greenwoods Bethlehem” borrows its name from an Indian guesthouse on the Arabian Sea, while the title track was based on a poem found in the guest room there. The result is the year’s best album. I particularly enjoyed Dull Times/The Moon from the Band of Horses LP. Radiohead album felt like fanservive and I liked it too. Cleopatra by The Lumineers was a nice find from your list! I just posted my top 10 a few days ago. Top Ten Albums of 2016, Woah such a great collection of 2016 hit songs, even I agree with this post.Thank you for making my weekend a more amazing one.